The research suggests that across the South East 23% of school support staff involved in children’s welfare go home worried every day having spoken to pupils about the issues that trouble them both inside and outside of school. 85% of support staff told UNISON they’d gone home worried about pupils after talking to them. Issues of concern can range from parents splitting up, family bereavement, self-harm, and sibling rivalry, to family members falling ill, the misuse of alcohol or drugs at home, and having a parent in prison. 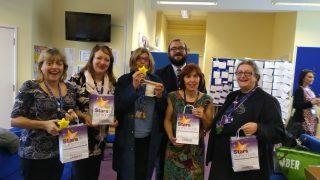 The survey, of more than 400 South East school support staff involved in children’s welfare (including teaching assistants, learning mentors and welfare officers) is released to coincide with stars in our schools day, UNISON’s annual celebration of non-teaching staff and the valuable work they do. Support staff responding to the survey said that they felt the contributions they made in school helped pupils to feel safer (82.5%), and supported their learning in the classroom (91.5%). Nearly nine in ten also said they thought their work helped pupils build confidence, and two fifths (43%) that it improved their attendance. Their work with children also meant improved behavior in the classroom – cited by 80% of support staff who responded – and decreased workloads for teachers (67%). Yet, despite the obvious benefits that support staff involved in children’s welfare can bring to distressed pupils and the smooth running of schools, over three in 10 (34%) reported that their schools had made cuts to staff carrying out pastoral roles over the past year. Cutbacks to other parts of public services are also being felt in schools. As they try to support pupil welfare, support staff said they had referred cases to social services (42%), 30% had involved mental health services, and 13% the police. But nearly half (46%) had noticed a decrease in the availability of support services beyond school. School support staff covered a large range of subjects supporting pupils with non education related issues including parental separation (80%), bereavement (73%), family illness (69%) and domestic violence (33%). To ensure pupils receive support 43% of support staff regularly working up to six unpaid hours a week, the equivalent of almost an extra day. 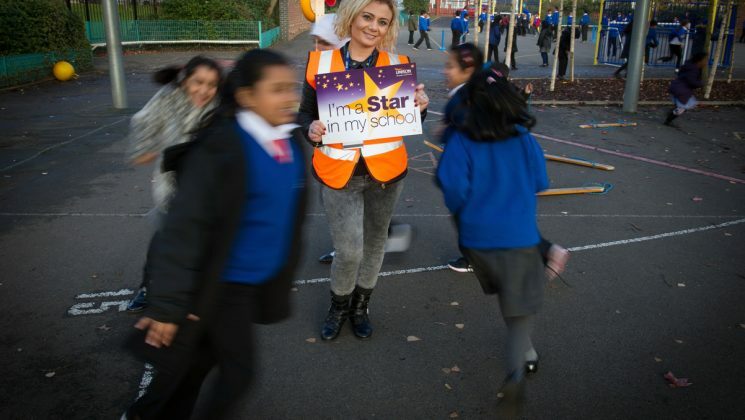 Commenting on the results, UNISON South East Regional Secretary, Steve Torrance said: “School support staff are true stars in our schools, they do a lot more than they sometimes get the credit for. They support children through the toughest of times, so it’s only fair their huge contribution is celebrated. “Support staff clearly have a huge and positive influence on children’s and young people’s lives. It’s no surprise that they are seen as trusted adults that pupils can talk to in confidence. Across the South East today, schools will hold Stars in our schools events including breakfasts, award ceremonies, and afternoon teas to celebrate the invaluable work of their support staff. – The full survey results are available here. – UNISON represents over 250,000 school support staff in the UK – caretakers, janitors, cleaners, school cooks, catering assistants, lunchtime supervisors, administrative and finance staff, data managers, examinations staff, school business managers, teaching assistants, classroom assistants, cover supervisors, nursery nurses, library assistants, librarians, network managers, ICT technicians, food technicians, science technicians, design and technology technicians, attendance officers, family support advisers, learning mentors, welfare officers, and school crossing patrol officers.